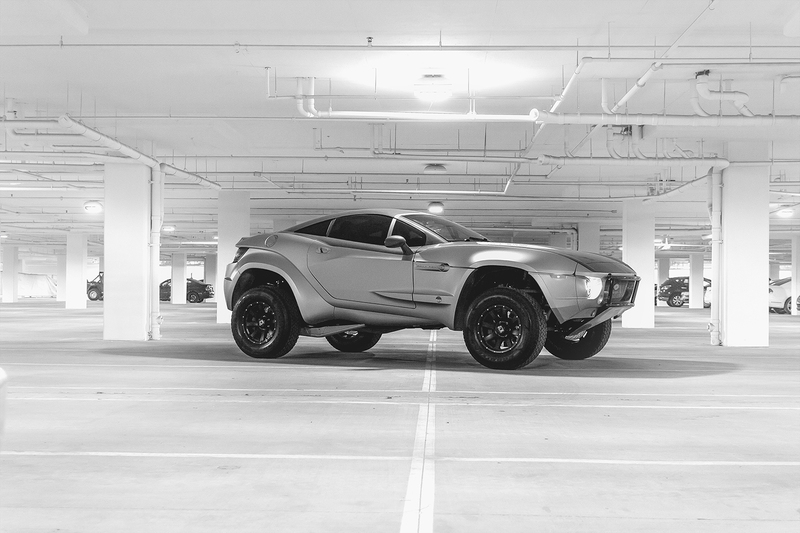 But selling the off-road capable, street-legal beast isn’t easy. It starts at a cool $99,000 and goes up with customization. At this price point you have some serious competition for someone’s automotive dollar and few someones who can afford such an interesting ride. We had our work cut out for us. 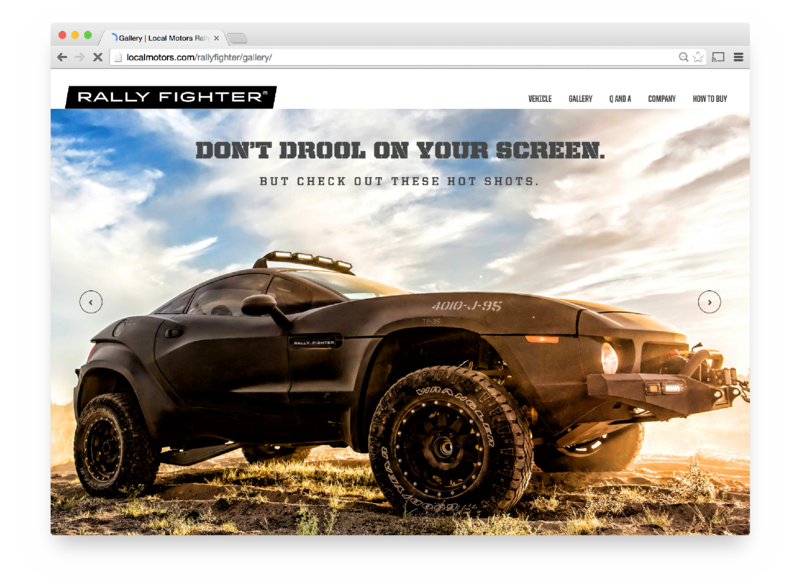 We started by adjusting the Rally Fighter identity. Type nerds should appreciate the thicker forms, and more consistent spacing of the new mark. The client appreciated the bolder stance it took within the same width. We adjusted a few spacing issues and built the campaign theme around the mark. 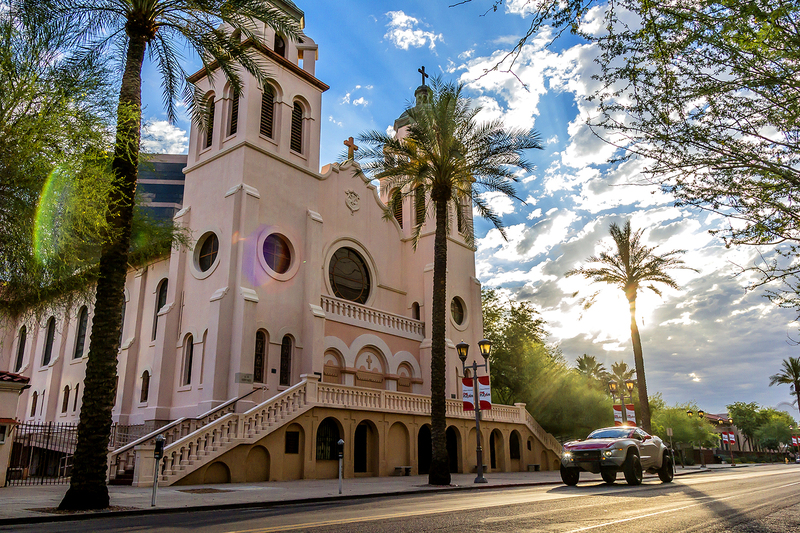 How do you sell a car few can buy? The answer came from the product. 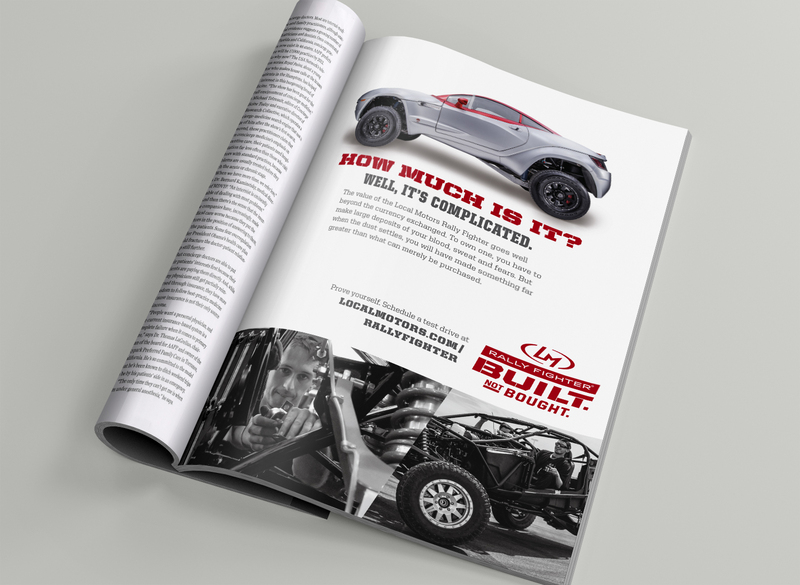 In order to buy a Rally Fighter, you have to build a large part of it. While some may see that as a negative, we saw this experience as a unique opportunity to challenge would-be buyers. Yeah, they might have the money but can they afford it? The campaign theme of Built not Bought was born. 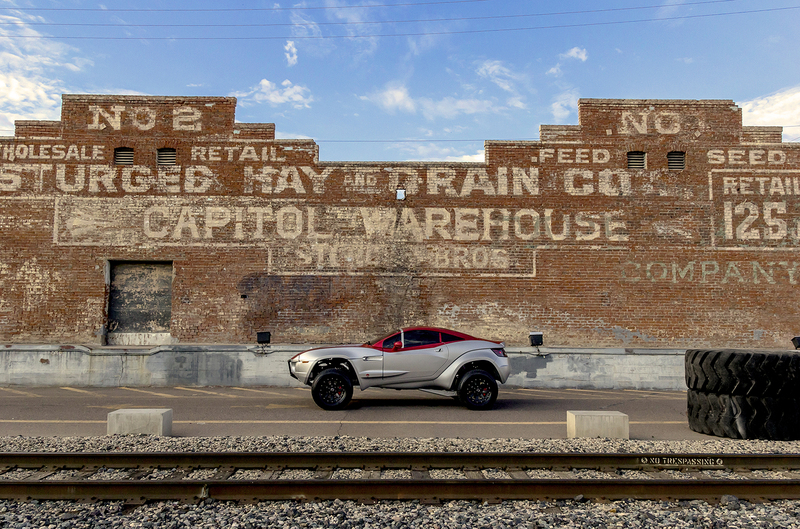 Featuring antagonistic headlines, challenging copy, and lots of attitude—we gave the car the spirit in marketing it has always had in person. 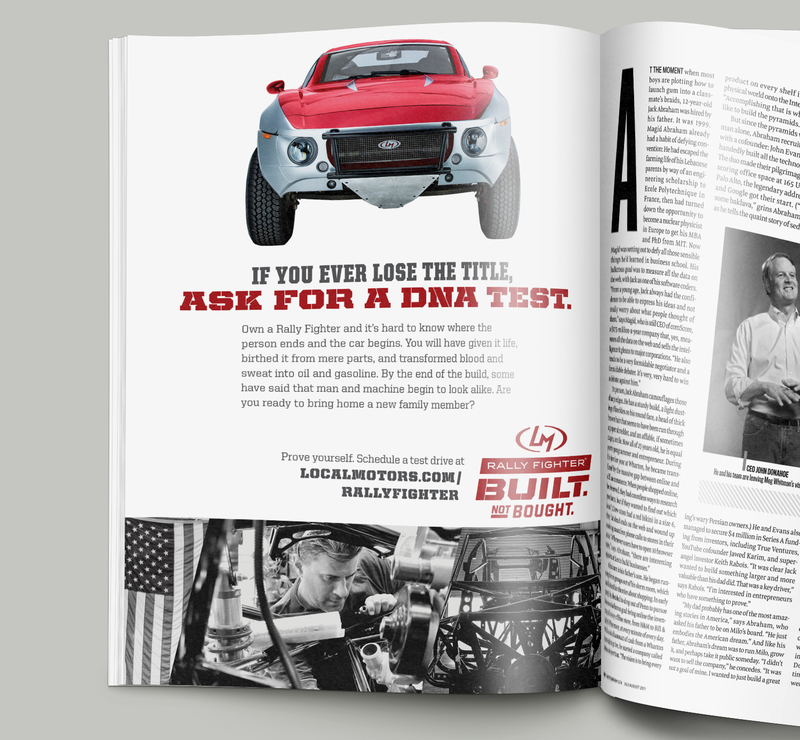 Each customer leaves not just with a new car, but with stories that will last a lifetime. 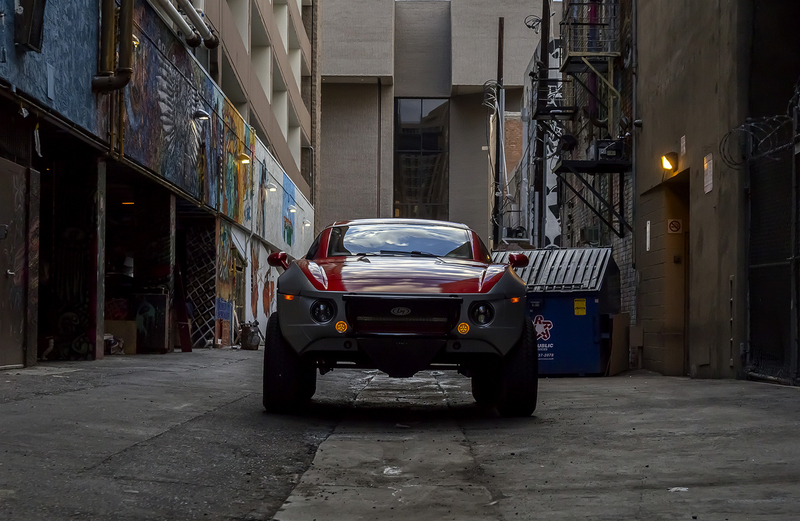 For a variety of purposes, we had to go out and capture the car in the urban and rugged environment. Fortunately for us, the car makes for a great model. 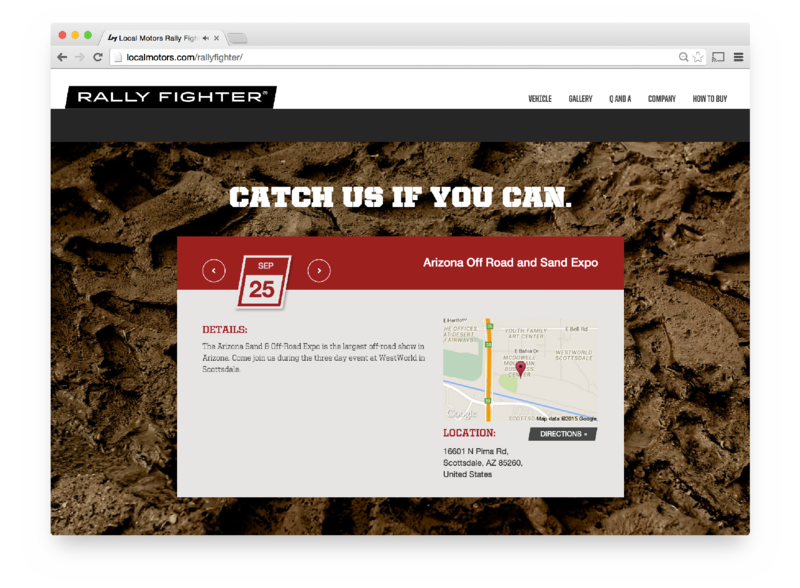 We brought this to life across social channels, broadcast TV, and digital video placements. 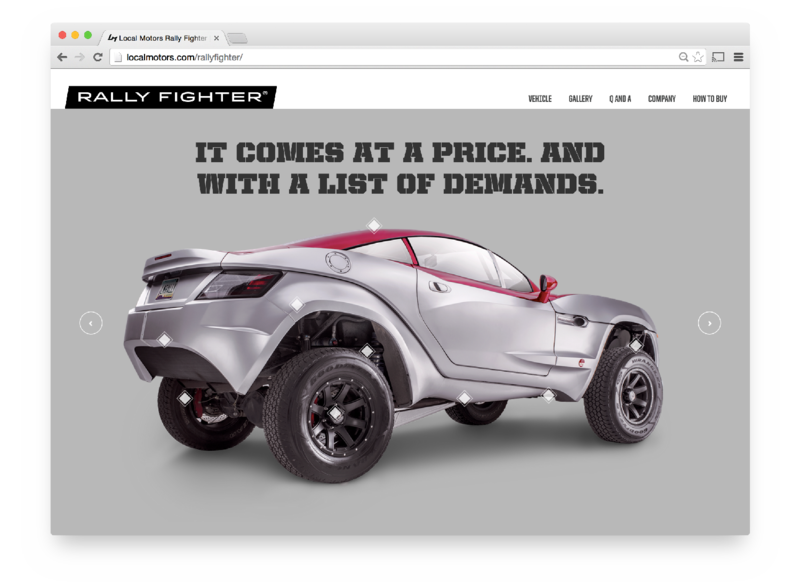 We had to re-launch the Rally Fighter site next. It had been developed many years earlier and neglect was taking its toll. 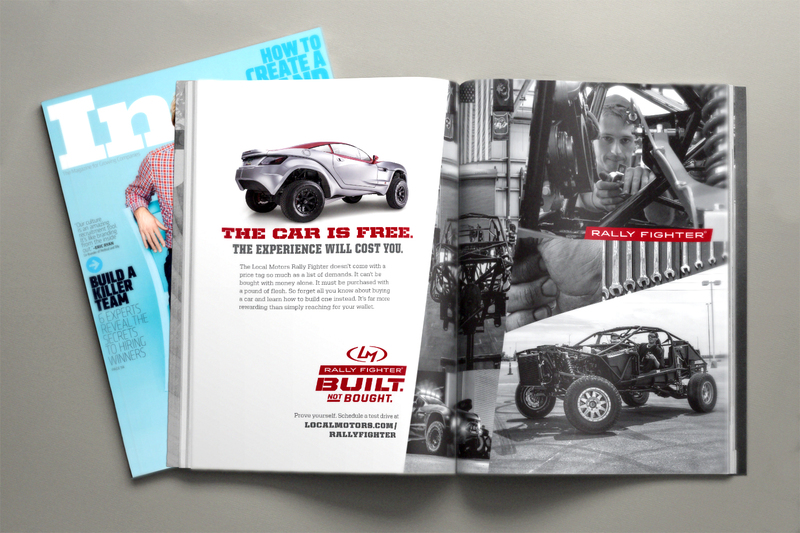 We thought the site should be as big and bold as the car and the campaign elements we were developing. This portion of the campaign in particular is a great example of seamless collaboration between our team and the client’s in-house talent to make the site come to life. We hit the video hard. From TV spots to social videos, we made sure we had plenty of video content to go around. 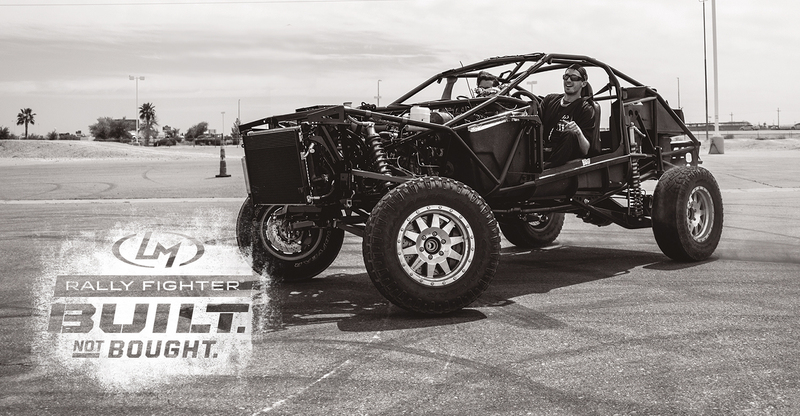 After launch, buyer interest skyrocketed and the Local Motors garage area was full of soon to be Rally Fighters being built not bought.